Higher Perspective | We’ve wondered pretty much since its discovery in 1659 if life inhabits, or once inhabited, the red planet. 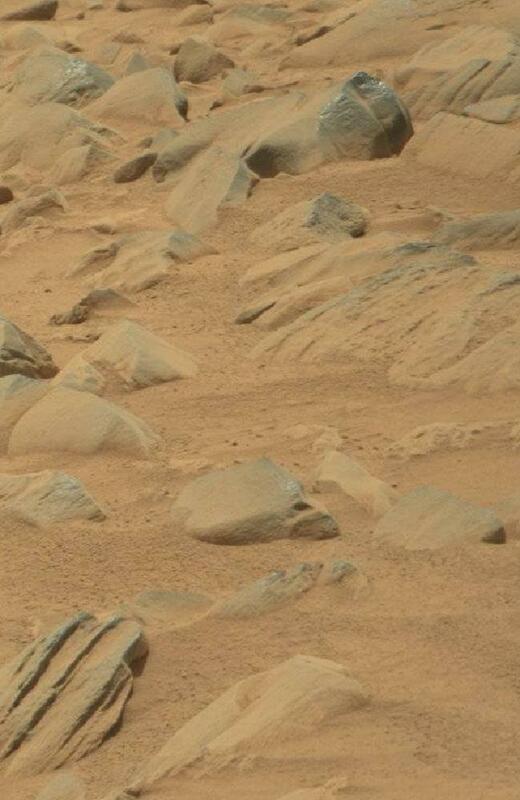 UFO-enthusiasts have been scouring the images taken by NASA’s rovers on mars looking for some evidence that the red planet is, or was, inhabited by intelligent beings. 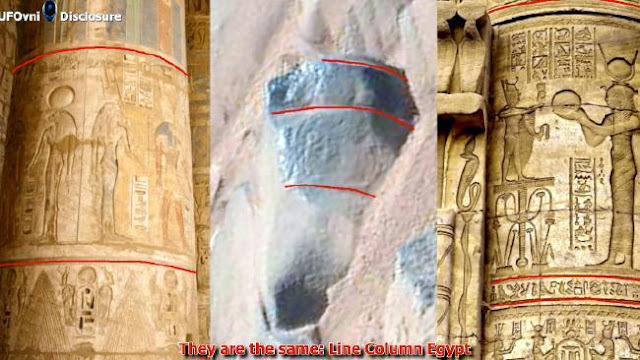 The most recent images that have enthusiasts fired up are these stones that appear to have ancient engravings on them. 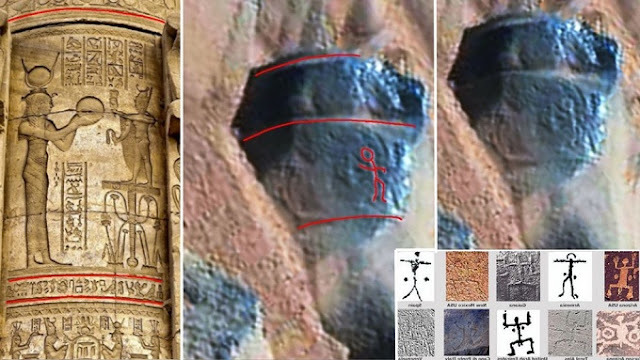 The center image, taken on mars, seems to show humanoid figures carved into it. Though some are arguing that it’s only pareidolia, which is type of illusion or misperception involving a vague or obscure stimulus being perceived as something clear and distinct. With the recent discovery of water on Mars, speculation has been running wild about life existing on the red planet. It’s difficult to know for sure at this time. Could an alien civilization have flourished on Mars in the past? Maybe. Is this rock evidence? Not in the conventional sense, no. But it is pretty fascinating nonetheless.